Kimberly is the only one who can save the Rangers from a musical spell. How many episodes of Mighty Morphin Power Rangers have you seen? Tommy, Billy, Adam, Rocky, Kat and Tanya are turned back to their teenage forms thanks to the Zeo Crystal. The Command Center is gone but the crystal leads them to the new Power Chamber and all but Billy take on new Zeo powers. Divatox has begun her invasion on Earth and the Power Rangers trade in their Zeo crystal powers for Turbo technology powers to combat this new threat. Stars: Alexander P. Heartman, Erika Fong, Hector David Jr.
A live performance of the Power Rangers live on stage. Rito Revolto: I got a life, and I'm lovin' it! 'Trini' was played by a different actress, Audri Dubois, and was completely different personality (and nationality) wise to the 'Trini Kwan' in the TV series played by Thuy Trang. 'Zordon' was named 'Zoltar' and the image of his head in a tube was also blurred and somewhat pulsating. There was no Juice bar (and hence no Ernie). Instead the Earth based scene took place in a bowling alley. The Command Center's interior had different control panels and lighting. The plating on Alpha 5's upper torso was notably larger and didn't have the familiar "lightning bolt" logo. 'Flyguy', renamed 'King Sphinx' for his eventual appearance in the TV series, appeared in the episode to battle the rangers with 'Goldar'. -The Dinozords were known as Dinodroids'. There was a Bulk character, but no Skull character. Instead there were three other bullies/punks alongside Bulk. 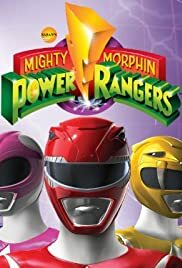 I used to watch "Mighty Morphin' Power Rangers" when I was younger back when it began in 1993 when I was 6 years old. I used to watch it with my neighbors and after the show we used to act it out. I was always the pink ranger and my sister was always the yellow ranger. 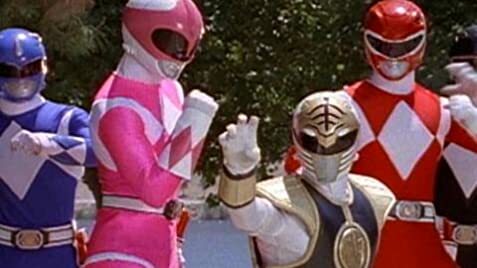 My favorite characters were the pink ranger and the red ranger. 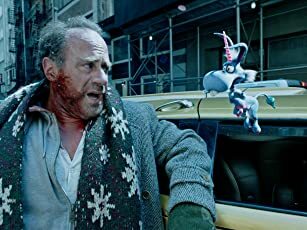 My favorite episodes, as I recall, were: "Happy Birthday, Zack", "No Clowning Around", and "A Bad Reflection on You". I also had many of the "Mighty Morphin' Power Rangers" videos. I used to watch the videos all the time. I only liked the "Mighty Morphin' Power Rangers", none of the "Power Rangers" spin offs. I found the spin offs to be stupid. I give the "Mighty Morphin' Power Rangers" 9/10 stars and all of the following spin offs 2/10 stars. 37 of 71 people found this review helpful. Was this review helpful to you?